Evidence: Putnam v. Kalber, Case No. 2-1166 (Iowa Ct. App. 2013). Issues: Whether the trial court erred by excluding evidence of the plaintiff’s ingestion of THC (i.e. marijuana). Facts: Plaintiff, Luke Putnam, filed a lawsuit against the defendant for injuries he received in a motor vehicle collision. At the trial, the defendant attempted to introduce a urine drug screen that was taken thirty minutes after the collision and indicated that Putnam tested positive for THC metabolites. Plaintiff filed a Motion in Limine seeking to exclude such evidence. In support of said motion, the plaintiff introduced the deposition of Dr. Corbett who testified that it is “impossible” to translate Putnam’s drug test results into evidence that he was impaired at the time of the incident. The deposition of Lieutenant Willner was also introduced; he testified that a positive test for marijuana use could result from smoking marijuana a week or more before the test. Based upon these depositions, the district court found that the drug test results would be more prejudicial than probative and, thus, it excluded the drug test under Iowa Rule of Evid. 5.403. The jury found the defendant was seventy percent at fault for the incident. The defendant appealed, claiming the district court erred when it excluded the results of Putnam’s drug test. Holding: Evidence of Putnam’s positive drug test is not relevant to the issue of Putnam’s impairment at the time of the collision and would have been unfairly prejudicial to Putnam. Issues: Whether good-faith settlement negotiations satisfied the good-cause requirement for delaying service of the petition. Facts: Plaintiff, Sharece Rucker and Defendants, Mike and Sherie Taylor, were involved in an automobile accident. On December 8, 2010, Plaintiff’s counsel sent a formal settlement demand to Defendants’ insurer. A claims representative responded to said demand with a counteroffer on December 20, 2010. Two days later, Plaintiff’s counsel responded to the claims representative, stating: “[w]e are filing the enclosed Petition at Law for [Sharece Rucker], but will wait to serve it until our negotiations break down. I will give you 21 days thereafter to seek counsel and defend. I don’t see any reason why we shouldn’t be able to workout a settlement” The claims representative did not respond to the letter and, on December 29, 2010, Plaintiff’s counsel filed the petition to commence an action against Defendants. Pursuant to Iowa R. Civ. P. 1.302(5) Plaintiff was required to serve Defendants with notice of the lawsuit within ninety days (i.e. by March 29, 2011) unless there was good cause to delay the service. Plaintiff continued settlement negotiations with the claims representative and did not serve the petition by March 29, 2011. Less than two weeks after receiving notice from the Court that the ninety day period for serving the petition had lapsed, Plaintiff served the petition upon Defendants. Defendants promptly filed a Motion to Dismiss for failing to timely serve the petition. The district court denied the motion, as it found Plaintiff’s expressed intent to delay service of the petition pending ongoing settlement negotiations combined with the adjuster’s participation in those settlement negotiations constituted good cause for Plaintiff’s delay in serving the petition. Holding: An expressed or implied agreement to delay service of the petition is not needed to satisfy the good-cause requirement; instead, good-faith settlement negotiations satisfied the good-cause requirement for delaying service of the petition because the claims adjuster knew Plaintiff did not plan to pursue the timely service of the petition due to their ongoing negotiations and continued to engage in those negotiations. Issues: Whether a plaintiff in a negligent premises liability action is entitled to jury instructions that advise the jury as to a landlord’s obligations under Iowa’s Uniform Residential Landlord Tenant Act (IURLTA). Facts: Plaintiff, RenElla Crawford, slipped and fell upon the steps leading to her son’s apartment. She filed a Complaint against her son’s landlord claiming they failed to adequately light the stairs, failed to remove snow and ice from the stairs, and failed to install a handrail. During the jury trial, Plaintiff requested jury instructions that would specifically inform the jury as to a landlord’s obligations under IURLTA. She argued that IURLTA imposes distinct duties upon a landlord and the jury should be instructed that those duties included obligations to: (1) comply with the requirements of applicable building and housing codes; (2) make all repairs and do whatever is necessary to keep the premises in a fit and habitable condition; (3) keep common areas of the premises in a clean and safe condition; and (4) maintain all facilities and appliances, including electric facilities, in good and safe working condition. The trial court declined to give that instruction and, instead, instructed the jury that the landlord owed a duty to exercise reasonable care in the maintenance of the premises and/or maintain the premises in a reasonably safe condition. The jury returned a verdict for the defendant. Plaintiff appealed. Holding: Plaintiff was not entitled to jury instructions that recite the requirements of the IURLTA, as the concepts stated therein were embodied in other jury instructions, including the instruction that advised the jury that the landlord had a duty to exercise reasonable care in the maintenance of the premises and/or to maintain the premises in a reasonably safe condition. Issue: Whether a two-year limitation on the time allowed for filing a lawsuit for underinsured motorists coverage is reasonable and enforceable under Iowa law. Facts: Plaintiff, Kevin Jones, was allegedly injured after being involved in an automobile accident with Nathan Lockner on August 16, 2009. 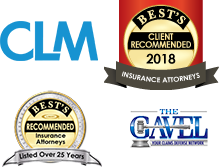 Plaintiff had an automobile policy with Nationwide Insurance, which provided for underinsured motorists (UIM) coverage. That policy stated: “any suit against us under this Underinsured Motorists Coverage will be barred unless commenced within two years after the date of the accident.” On August 11, 2011, Plaintiff filed an action against Lockner; he did not attempt to add a claim against Nationwide for UIM coverage until November 4, 2011, well after the two-year period ended. Nationwide filed a Motion for Summary Judgment arguing the claim was bared by the policy’s requirement that the action be commenced within two years from the date of the accident. Plaintiff claimed he complied with this provision by providing a Nationwide agent with notice of the claim. Based upon this argument, the district court denied Nationwide’s Motion for Summary Judgment, as it found there were genuine issues of material fact concerning whether the two-year time limit prevented Plaintiff from recovering UIM benefits. 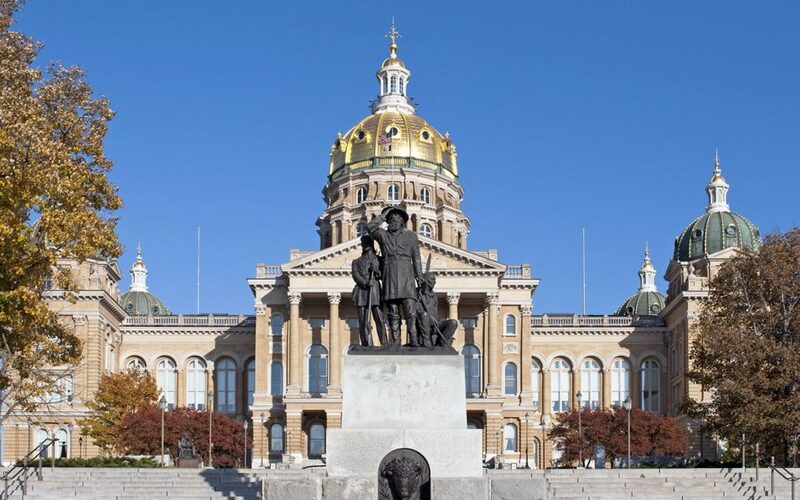 Holding: A two-year UIM policy deadline is enforceable as a matter of law because it matches Iowa’s two-year statute of limitations for filing a personal injury action. Because this policy expressly required commencing an action within two years, that provision was enforceable as a matter of law; Plaintiff’s failure to commence his action against Nationwide within that time frame was a bar to his action for UIM benefits.